To date, $87.3 million of the state's GEMS funds are being used to facilitate approximately $120 million in clean energy projects. Megan Fernandes. American City Business Journals. Fri, 26 Apr 2019 00:13:17 +0000. Zacks Equity Research. Zacks. Thu, 25 Apr 2019 23:05:05 GMT. The building is the first workforce tower in the 60-acre master-planned Ward Village for The Howard Hughes Corp.
Janis L. Magin. American City Business Journals. Thu, 25 Apr 2019 16:00:00 +0000. Catharine Hamm. Los Angeles Times. Thu, 25 Apr 2019 07:00:00 PDT. Yahoo. Wed, 24 Apr 2019 11:12:37 -0400. Zacks Equity Research. Zacks. Wed, 24 Apr 2019 12:51:00 GMT. ABC News. Tue, 23 Apr 2019 18:46:42 -0400. Daily Mail. Tue, 23 Apr 2019 16:04:18 GMT. By Michelle Gross, Contributor. Forbes. Tue, 23 Apr 2019 10:30:00 +0000. Terry Gardner. Los Angeles Times. Mon, 22 Apr 2019 07:15:00 PDT. According to the 2010 census, the population of Hawaii was 1,360,301. In 2008, the estimated population of Hawaii was 1,288,198, whereas in 2006, the population of Hawaii was about 1,275,264. For detailed, up-to-date information about Hawaii's demographics, visit the U.S. Census Bureau's QuickFacts about Hawaii web page. For maps of Hawaii, visit this Hawaii Map website. 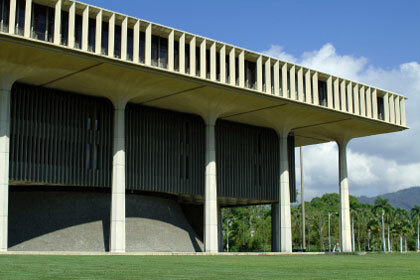 The photograph above shows the state capitol building in Honolulu, Hawaii. Hawaii newspaper publishers are listed here, along with their addresses, phone numbers, and website links; Hawaii library names, descriptions, and website links are listed on this page. More information about Hawaii can be found here.